Heat olive oil in a large skillet over medium-high heat. Add the shallots and cook for 2 minutes. Add the sliced garlic and cook for 1-2 more minutes. Pour the tomatoes into the pan, season with salt and pepper, and cook until some of the tomato skins start to split - about 5 minutes. Remove from heat and add the feta. Stir gently, incorporating the juice from the broken tomatoes with the feta. Transfer to serving dish, sprinkle with cilantro, and serve warm. Recipe Notes: You can add a tablespoon or two of water or chicken stock if your tomato/feta mixture is too thick. If you can't find French feta, you can substitute Greek feta. Because Greek feta is firmer you may need to cook it with the tomatoes for a minute until it breaks down. 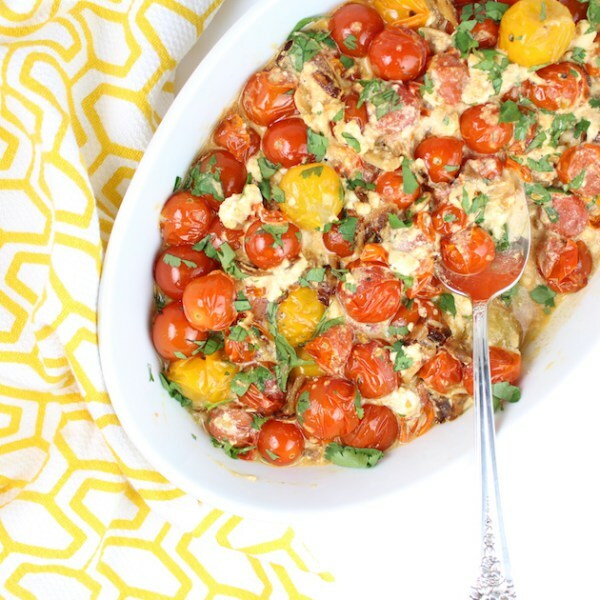 Salty, tomato-sweet, cheesy, creamy goodness ready in only 15 minutes. 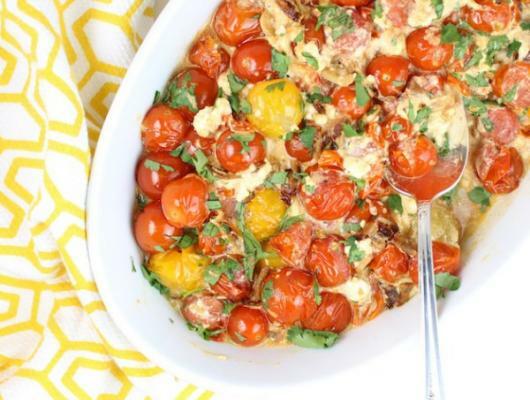 Perfect side or appetizer with French feta, shallots, garlic, and cherry tomatoes.